You are at:Home»DEALS»Xbox One on sale (again) for $299! The Xbox One is on sale once more for $299, a savings of $50 from its retail price of $349. As many times as the Xbox One has gone on sale at this price point for past couple of months, I am surprised that this isn’t a permanent price cut. 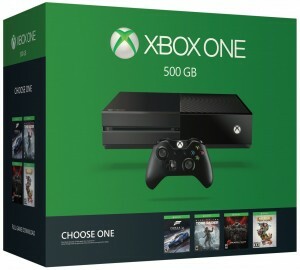 For $299, you get a Xbox One with 500GB of onboard storage, a controller, HDMI cable, wired headset and your choice of games. The Gears of War bundle comes with Gears of War: Ultimate Edition which includes an HD remake of the GoW and an Xbox 360 version (backwards compatible) of the two other titles. Similar: Why the Nintendo Wii U needs a price drop! 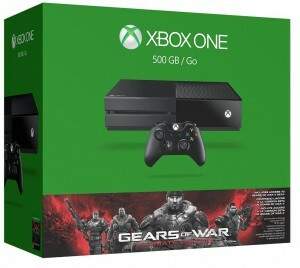 The 500GB version isn’t the only Xbox One to get a price drop, the 1TB version also has received the $50 price drop. For example, the Rainbow Siege 1TB version is on sale for $347! If you are looking for a console, the Xbox One is currently the same price as a Wii U, with a larger library of games. Xbox One on Amazon for $299! Xbox One on Microsoft Store for $299! 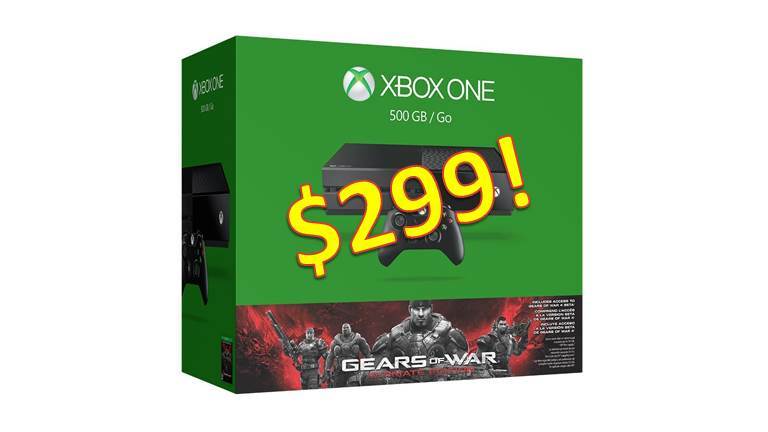 Xbox One on Walmart for $299! What do you think? Is $299 the sweet spot? Tweet us @AsianGeekSquad!